My Peacemaking collection on the aftermath of the Great War sailed into precarious waters once again when I had to work on the theme of ‘Allies’. At first glance this would seem a large and easy enough subject to deal with, but my self-imposed restrictions of philatelically illustrating Margaret MacMillan’s book ‘Peacemakers’ meant that I had to find items which would in some way convey the fact that soon after the war, the number of Allied troops in Europe dwindled fast, leaving them in a worse negotiating position. I must admit I soon gave up on that one (any suggestions more than welcome though!) and focused on the second leg of this ‘Allies’ theme which proved much easier to deal with. 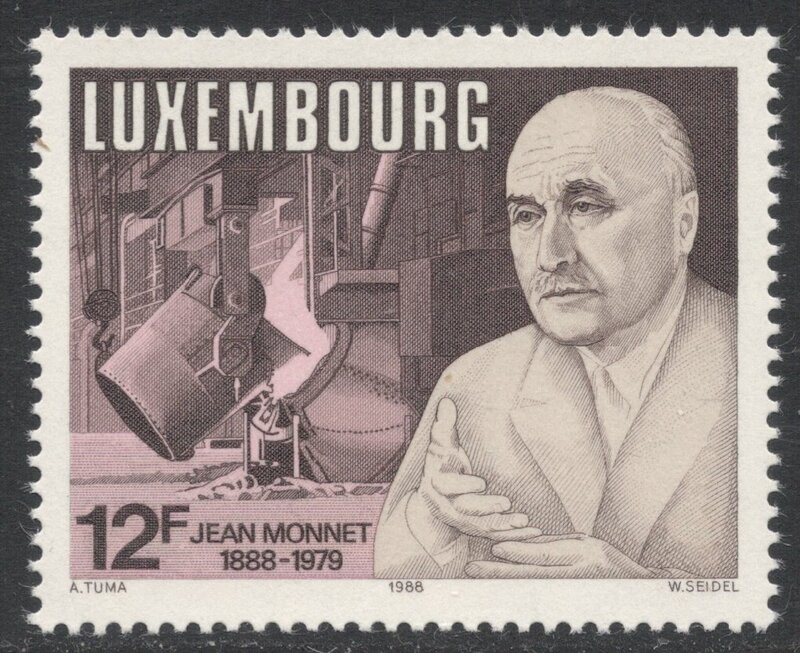 It was concerned with the attempt of a French minister, Clémentel, to create a new economic order in Europe, based on cooperation rather than competition. As we all know this came to nothing but Clémentel’s assistant, Jean Monnet, tried again after World War TwoIIand he had a more interested audience. He would eventually found the European Coal and Steel community, or ECSC. 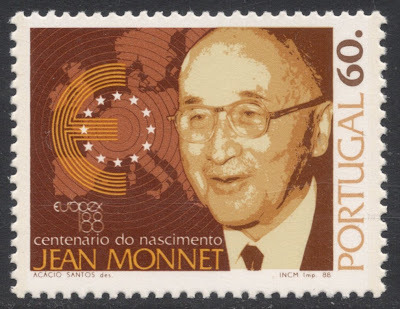 Monnet has been honoured reasonably often on European stamps, with many countries issuing stamps marking his death in 1979 or his birth anniversary in 1988. 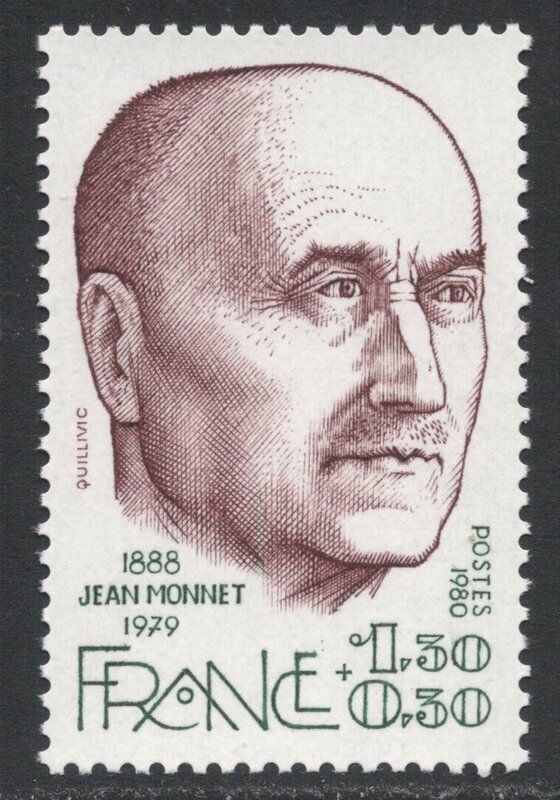 My favourite of the lot is the 1980 French stamp which is a very simple yet powerful portrait of the man, engraved by René Quillivic. 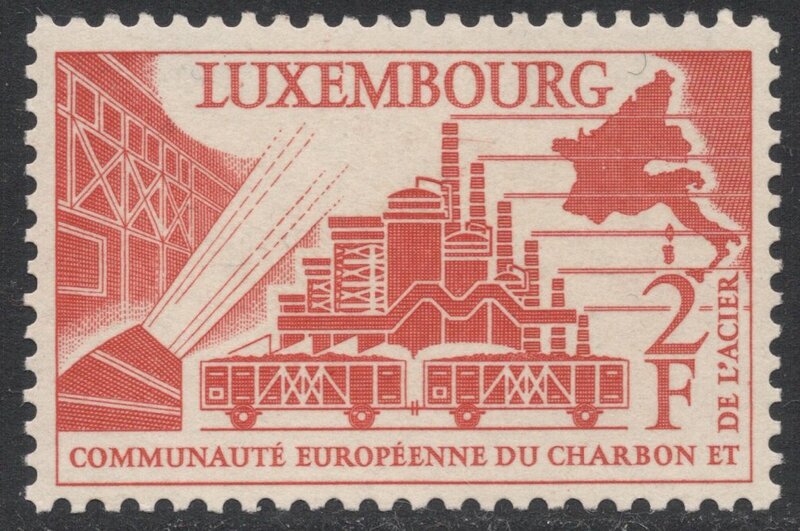 But thematically this Luxembourg stamp, from 1988, is much more interesting with the inclusion of a steel works. In 1977, Germany issued a Monnet stamp honouring him after he was lauded ‘Citizen of Europe’. 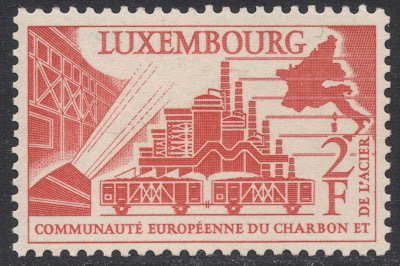 The ECSC itself was the subject of a Luxembourg stamp issue of 1956, the year in which the ECSC was transformed into the European Economic Community, or EEC. 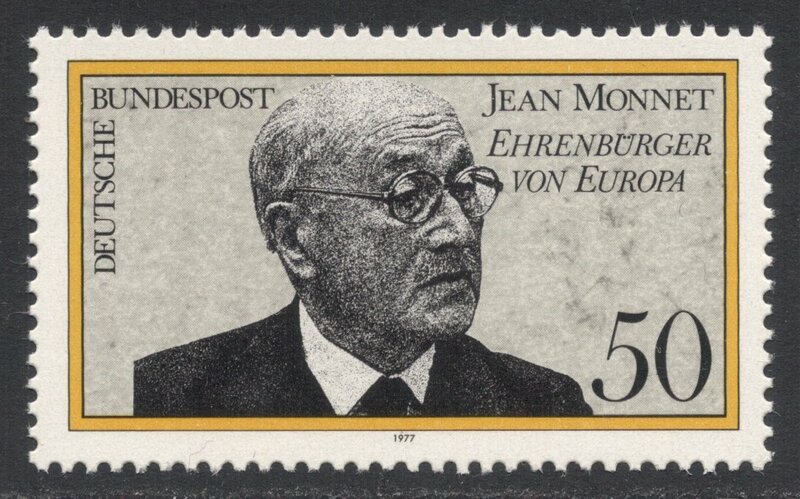 Decades later, the EEC would morph into the European Union. 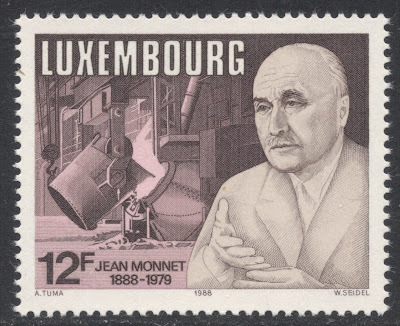 You can see the philatelic items marking that last feat here. Whatever one’s views on the EU of today, it is always good to remember that it was formed out of a desire for peace and economic stability and based on the idea that war may be avoided if countries have strong ties with each other.